Venn Corporation’s sister company ﻿﻿Hawaiian Islands Forwarders﻿﻿ specializes in managing complex freight to the Hawaiian Islands and on to Guam. With our partners at TC Trading, HIF extends its reach to managing freight moving to and from Alaska. These specialty services allow Venn superior service to not only the mainland but all 50 US States, as well as Canada and Mexico. 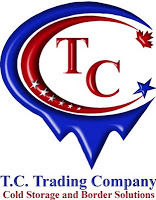 ﻿﻿TC Trading Company﻿﻿ offers the highest quality of service to both domestic and international markets. As a full-service company, we offer warehousing, distribution, freight forwarding, dry, freezer, and cold storage services. In order to provide certainty for our carrier partners, Venn Corporation has contracted with ﻿﻿B﻿ibby﻿﻿﻿ to manage the payments to these carriers. With Bibby, our carrier partners can be assured the funds to pay their invoices are held in trust by the largest transportation finance company in the industry.